Non-stimulant formula – great for stacking! 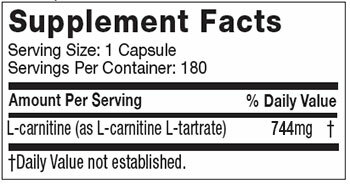 WHAT MAKES PLATINUM 100% CARNITINE UNIQUE? L-carnitine has been shown to promote recovery following resistance exercise by minimizing muscle damage. In fact, in recent clinical research at a leading university, subjects supplementing with just 1g of L-carnitine experienced improved muscle recovery post-training. 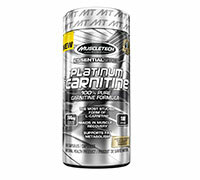 Platinum 100% Carnitine supplies the most researched form of L-carnitine – L-carnitine L-tartrate, which is an amino acid metabolite that acts as a co-factor to help transport fatty acids to the mitochondria. Mitochondria are responsible for cellular energy production. What’s more, the non-stimulant properties of Platinum 100% Carnitine make it the perfect addition to your favorite diet supplement stack!